Autodesk® Inventor® software provides engineers and designers professional grade design and engineering solution for 3D mechanical design, simulation, visualization, and documentation. With Inventor software, engineers can integrate 2D and 3D data into a single design environment, creating a virtual representation of the final product that enables them to validate the form, fit, and function of the product before it is ever built. 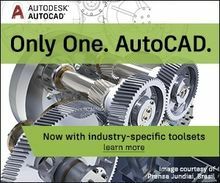 Autodesk Inventor includes powerful parametric, direct edit and freeform modeling tools as well as multi-CAD translation capabilities and industry standard DWG™ drawings. Helping you to reduce development costs, get to market faster, and make great products. Not ready for the full functionality of Inventor? Consider expanding your 2D engineering process with Autodesk® Inventor LT™. Model-Based Definition (MBD) will become an important tool for users desiring to review part model designs before the 2D drawing is created or skip the 2D drawing completely. View this whitepaper to learn how to configure MBD in Inventor 2018 to suit your design needs. Inventor has the ability to create OLE links to non-native files such as images, PDFs, and spreadsheets. Proper use and management of OLE objects as an embedded or linked object is important to proper management of files and collaborative efforts. View this whitepaper to learn how to create and remove OLE links in Inventor files. Learn Joint Functionality and upgrade your Inventor assemblies by mastering the easiest joint of all. View this whitepaper to see how you can successfully copy an Inventor design using two of the simpler tools, the Design Assistant tool and the iLogic Design Copy tool. This whitepaper provides a comparison of Autodesk Inventor and Fusion 360 and explains the capabilities of each of the softwares and when they should be implemented. Sometimes after updating to a newer version of Autodesk Inventor, it doesn’t save the changes you made to the Application Options. When you restart Inventor, it resets to the default. This whitepaper explains this issue and a possible solution. 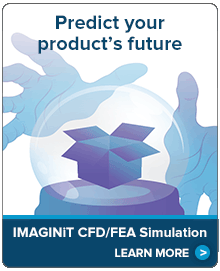 In this whitepaper IMAGINiT expert, Mark Flayler, explores the “Duplicate Files” and “Different than Expected” dialog boxes in Autodesk Inventor and explains how to correct the issues that cause them to appear. Autodesk has been working toward the addition of generative design technology in your design workflow for a few years now. The Shape Generator is Inventor’s first step into this modeling world and its capabilities can already drastically change your design process. This article takes a look at how to use the mesh output to refine your parametric models, to include it in your assemblies and to manufacture the generated parts. In today’s industry, creating parts and assemblies that function as they should, quickly and accurately, is the name of the game. So why not take advantage of iFeatures? iFeatures are perfect for features that need to change size, or features that can be inserted into multiple parts quickly. It ensures placement of the feature as well as consistency and saves on design/drafting time. So please follow along and use this whitepaper to update your skillset. In today’s industry, creating parts and assemblies that function as they should, quickly and accurately, is the name of the game. iMates are a perfect fit to quickly assemble your parts or subassemblies. These mates are perfect for parts that need to be quickly replaced with a part that is similar but may differ just a little in size or shape. They also allow the drafter/designer to cut down on their design time and utilize their time elsewhere. In today’s industry, creating parts and assemblies that function as they should - quickly and accurately is the name of the game. So why not take advantage of iParts? By creating a part that changes size, features, or placement, quickly and accurately can speed up your design process and lead to less possibility for error. So let’s get to it! When using the Style Library Manager to migrate a previous version style library to Inventor 2016, the resulting migrated Style Library will be set to Read-Only. This will prevent the copy of styles across two different libraries. A solution was proposed that involved replacing StudioLighting.xml. In the event that this does not solve the issue, a manual workaround was devised to allow 2015 Design Data to be inserted into the 2016 version. This whitepaper discusses how to optimize a design in Autodesk Inventor with the Shape Generator and covers the entire process on how to set up the Shape Generator and run multiple tests to get different results. In this whitepaper, we will cover how to properly create a presentation/exploded view that will include the animation of the parts and a camera simultaneously. While going through the correct procedure to accomplish this, we will also highlight the new features Autodesk has provided in the ipn file for 2017, such as, what a snapshot view and storyboard is used for. In the whitepaper you will learn how to model a frame with compound curves and the use of the split command in the part file. IMAGINiT expert Jason Swiercz covers how to use the frame generator and the editing commands that go with it. In the assembly Jason covers how the frame generator saves and inserts data into the BOM for each part and discusses turning on surfaces and how to use the realistic view to create a rendering. Finally, Jason covers how to insert the image into the drawing and how to create a parts list and materials list in the drawing file. This whitepaper will shed light on some detailed processes to enhance the sheetmetal modeling experience. You can learn how to create and use custom punch for sheetmetal, how to create cut across bend and some description about the multi-body support for sheetmetal added in Autodesk Inventor 2016. Linear Static or Linear Buckling Simulation? Definitely BOTH of them! The whitepaper shows static and buckling analysis in Autodesk Inventor and Nastran in CAD. Inventor was enhanced with several simulation options since Nastran in CAD was implemented last year. As industries use more of the collaboration tools from the Autodesk products, designs are becoming more dependent on products like AutoCAD Electrical and Inventor to streamline the process. But if the process is difficult to use or to understand, it’s usually pushed aside. When using the Inventor Cable & Harness from an AutoCAD Electrical XML file, most designers hope the result turns out the way they need. If not, they usually do a tedious manual edit or scrub the process completely. Edit Wire Sequence in AutoCAD Electrical can help with the sequence control between multiple component or pin connections in a circuit, before outputting the XML file for Inventor Cable & Harness. This whitepaper will help you understand how the tool can make you a more efficient designer. Often times when working in the sheet metal environment we will have to create punched features for structure or clearance. In this whitepaper we will explore the process of creating a custom punch and how it is used. People often wish there were more appearances in our Inventor appearance libraries. Previously we looked at creating custom materials, but what happens when you want a custom texture or appearance? Well join me as we walk through the steps in creating them. In this whitepaper we will cover how to create assembly instructions in Autodesk Inventor. To do this we will be using an Inventor Presentation file that has an .IPN file extension. These presentation files create an exploded representation of a model and are great for assembly instructions or videos. If you are unfamiliar with this file type or how to use the presentation file don’t be worried. It is both straight forward and simple, but often not utilized. Have you ever used the coil command and wanted the spring to compress? Well it is possible and much easier than you think, so follow along and let’s create an adaptive spring that will allow you to test for interference and filament. Ever wanted to work or see multiple views of one model or assembly in inventor? Well you can, and it is great for modeling or making changes without rotating your model! Often times our Inventor model browser can be difficult to navigate. Here are a few tips to help keep it condensed and organized. Most Inventor users have use or have tried to use Bolted Connection, but I have found that they limit it to the basics. Well let’s explore this design accelerator a little more in depth so that you may better understand all of the options and uses it provides us. Learn how to standardize your tube and pipe styles, file naming, and part numbering in Autodesk Inventor’s Routed System module. Often times it is easier to create sub-assemblies after we model our entire model. Lucky for us, Inventor has Demote and Promote to help us with this. This tools makes creating sub-assemblies easy while maintaining most, if not all of your features and constraints. Often times the need arises where we need to change the materials of multiple items in the BOM due to engineering changes, customer changes or even FEA needs. The typical work flow is opening each item and changing it, but what if we could do it all at once? Follow along and learn how. View this whitepaper to learn how you can better utilize the Bill of Materials (BOM) tool in Autodesk Inventor. In this whitepaper you will learn how to create custom materials and add and create custom material libraries in Autodesk Inventor. Once you follow the steps you will be well on your way to creating something you can utilize and even add to as you continue to need different materials. This whitepaper outlines the process of adding custom features and parameters to an Autodesk Inventor Custom Content Library and automatically applying these to every member of the family using one command. When designing new parts in the context of an assembly, there are often times you need to borrow an edge, a hole center or a sketch entity from one part to another. Inventor calls this Cross Part Geometry Projection (CPGP) and it makes top down design a lot faster and easier. This article will outline the process of creating this type of geometry and give a few tricks along the way. Broken Links in Inventor are typically preventable, especially if you have a data management application such as Vault installed. If you get a Broken Link error, this paper will show you why it is happening and how you can fix the issue as well as avoid it in the future. Learn how you can protect your Intellectual Property and ready a simple model for export to Revit with Simplify in Autodesk Inventor. Learn best practices on generating Lofts using Guide Rails for shape control purposes. This option of the Loft command is usually needed when the shape is more complex than a standard Profile to Profile Loft. Using Guide Rails gives the user the ability to control the shape of the Lofted profile between the start and end profiles. This whitepaper also shows the adverse effects of using too many Guide Rails. Learn how you can “defrag” your CAD files to clean, rebuild and compact the file, resulting in a more stable file with quicker reaction times. The process is similar to one doing a “defragmentation” of their computer’s Hard Drive, organizing the fragments of the files that tend to get scattered on the HD, resulting in faster call up time of those files. Considering all the iterations CAD files typically go through, this process is much more important than the one most people do for their PC. The process should be run whenever a part file begins to act in an odd fashion, react slowly or even better, when the file is complete and ready for release. Waiting for large, complicated part or assembly files to generate and build up on activation can be very time consuming. In this whitepaper, you will learn about the adjustments that you can make to your software settings and workflow practices to reduce wasted time and increase productivity. Understanding Simplify In Autodesk Inventor. Learn how to send a model to customers that use other types of software such as Autodesk Revit by using the simplify tab within Autodesk Inventor. This is a two part process and in this paper we will focus on the first step. Creating an assembly in the Autodesk Inventor software was for years done by using Constraints to remove a components six degrees of freedom one by one until its final resting position was established. And if the component was intended to have motion, that particular degree of freedom was not removed. This process is enhanced and made more efficient with the use of Joint Connections starting in the 2014 version of the Autodesk Inventor software. The thought process using Joint Connections is the opposite from using Constraints, but it also has some additional advantages, such as limit capabilities. Enhance your productivity of assembly creation by using Joint Connections and see why they are the new assembly Constraints. Hole notes in Inventor are a great drawing aid that can save a drafter significant amounts of time when detailing drawings. Once configured they can drastically speed the placement of hole information on a drawing. However, to some organizations the lack of tap drill number information is a huge inconvenience. This paper illustrates how the tap drill number can be added to the hole note tool replacing the existing diameter information. This is the third part of a multi-part paper adapted from the class: Unlocking the Power of the Job Processor presented at Autodesk University 2014. This section demonstrates how to configure and use the job processor to automatically update Inventor revision tables using Vault lifecycle state changes. This whitepaper explores the many uses and advantages of using the Inventor User Coordinate System (UCS). AutoCAD users are very familiar with UCS but often the tool is unknown to Inventor users. If you have ever desired to have more than one origin folder, which can be manipulated at will, in an Inventor part file, you should read this article. Inventor Pack and Go is a utility that quickly allows the collection of all parts, drawings, and other related files used in an Inventor assembly. The utility is a part of the Inventor installation and can be executed from Windows explorer or the Inventor Open dialog box by right clicking on the Inventor assembly file. The utility can eliminate the worry that all required files, used in an assembly have not been found, before sending the file set to another location. Your company Inventor drawings all have a title block. On occasion your engineering department will do work for another company and they require their title block on your existing drawings. The replacement of the title block, for a number of drawings, can be very labor intensive. The Inventor Drawing Transfer Wizard can shorten this task considerably. This whitepaper defines the typical use of the wizard. This whitepaper defines the role of Inventor Design Data in the creation of effective templates. Topics covered are creating new, capturing and migrating existing design data from existing templates and installations. The Inventor Styles Manager is also explained. Often Inventor assembly drawings lack the information required for production personnel to accurately located or properly assembly the finished design. Using Reference data in drawings is an effective way to communicate this information. This whitepaper will walk you through the steps of creating reference drawings. This whitepaper is for the beginning Inventor user charged with the responsibility of configuring templates and their supporting Design Data. The whitepaper explains how the Design Data is used, created, stored and edited. Proper configuration of an Inventor project file to use templates and their supporting Design Data is also explained. A must read for companies just beginning to use Inventor. Recently introduced into Inventor 2015, Freeform modeling is an alternative modeling workflow which allows a fluid way to model more organic shapes within Inventor. The traditional modeling tools within Inventor do not readily lend themselves to creating smooth “swoopy” shapes; Freeform modeling allows these shapes to be created very quickly and easily. This article illustrates how a complex shape (i.e. Aircraft body) can be mocked up and refined using these tools. Inventor has multiple ways for a user to select a template file for generating parts, assemblies, drawings, etc. The issue is, a few possible choices actually point to the system default templates that come with the software as opposed to a company’s customized templates. Users may unknowingly select these default templates, especially in the part or assembly mode and not realize such until well afterwards, leading them to have to backtrack and make the needed corrections so their files are compliant to company standards. This whitepaper describes options on how to avoid this issue. Leverage Inventor’s surface tools and sheet metal methods to overcome intersection modeling challenges. Using the Autodesk Inventor 2015 3D solid modeling CAD software to create drawings is a great way to keep drafting standards consistent from drawing to drawing. You can start from a particular drafting standard and then easily add your own style to assist in communicating your particular needs to the manufacturing process, as well as making it visually interesting. The Simulation functionality within Inventor incorporates a useful and unique toolset called “Parametric Dimension” Study. This paper shows how this toolset eliminates the requirement to have multiple analysis files for the same geometry which can be changing parametrically and thus can also be studied efficiently with the environment. This whitepaper describes tips on how to keep sketch symbols or text on a drawing at their original locations once the view or balloon has been relocated. In my last white paper ‘Assembling with Joint’ we went over the basics of how the Joint tool works. This paper takes a look at the second tab in the Joint command, ‘the Limits tab’. We will learn how to control the movement of rotational, slider and cylindrical joints to make them move the way we want them to. With the release of Inventor 2014, we saw a few assembly productivity enhancements such as the Joint tool. Not many users utilize this powerful tool, and some may not have an understanding of how it works. iLogic Forms are how you interact with your iLogic models. They are the user interface that you use to enter parameters, make selections and run rules that are necessary to complete your configuration. The iLogic Form Editor is the tool that is used to layout and design those forms. Randy Mabery is an Applications Expert for IMAGINiT Technologies in the Manufacturing Solutions Division. He has 15+ years of experience in design, engineering and manufacturing industries. Before coming to IMAGINiT, Randy led two separate companies in the transition from 2D AutoCAD design work to include 3D using Autodesk Inventor. Randy holds an Inventor Certified Expert Certificate. When complex motion gets too difficult, workarounds can help! In this whitepaper, Walt walks through the proves of modeling the action of an energy chain. In this white paper we will take four Sheet Metal parts that were derived from a Lofted Flange and create a weldment Assembly. The coil command is used to create springs, threads or flights along a cylindrical object or as a multi body part by creating a helix based feature. In this example we will be using the Split tool to trim the part, we will be creating a surface based on the complex part and using it as the split tool. The Express Mode option allows you to load large assemblies 3 to 5 times faster than loading a full assembly. Whether we realize it or not, by modeling in 3D we’re already utilizing some combination of Top-Down and Bottom-Up methodology. Is there any logical way to start modeling a product before we even know all the dirty details? Bend complex parts with the data already in your model. Once you discover Inventor’s Bend Part tool, you’ll wonder why it seems to be hidden from plain sight. Trussbilt Implements Autodesk Inventor to Support 3D Modeling and Process Automation. For three decades Drew Price Engineering has thrived on selling speed out of its headquarters in Victoria, Australia. It has grown into one of the largest manufacturers, designers and distributors of racing kart and kart products outside Europe. COOL Mobility® Pty Ltd (www.coolmobility.com.au)co-founder, Colin Johanson, a quadriplegic himself, believes mobility aids should be attractive, as light as possible, and use the most advanced technology, to obtain optimum performance for the human technology combination. Con-Vey Keystone Inc. located in Roseburg, Oregon is a leader in the manufacturing of Custom Engineered Material Handling Solutions. They manufacture large conveyors, coolers and stacking equipment to the wood panel industry. CADgile is an engineering, design and drafting company employing a highly trained and proficient engineering team with expertise in mechanical engineering, special purpose machinery design and structural drafting. Founded in 1959, Bush Industries, Inc. of Jamestown, New York manufactures furniture that is both fashionable and affordable. They are a leading global manufacturer of ready to -assemble and OfficeReady™ furniture for home and office. Established in 1988, Andrew Rogers Industrial Design (ARID) provides product design services for the manufacturing industry in Australia as well as a growing number of international customers. iLogic Forms – Native or .Net?